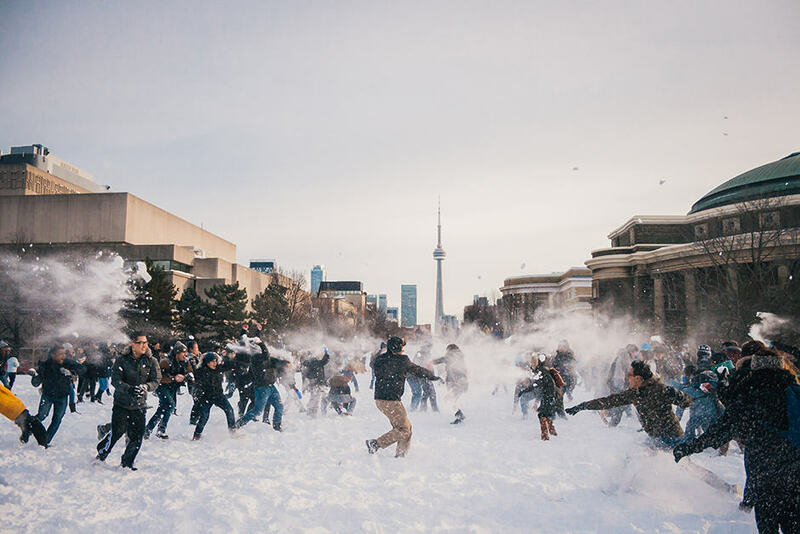 About 400 students from University of Toronto’s three campuses and surrounding schools in the Greater Toronto Area gathered on Front Campus last Tuesday for a snowball fight. Madina Siddiqui and Frishta Bastan, two U of T students, planned the event with the goal of lightening the spirits of students bogged down with assignments and mid-terms. Both say they want to make the snowball fight an annual event. Siddiqui says that, in her first year at U of T, she noticed that students are consistently worried about the future. “I wanted to do something that would allow us to relive our childhoods,” she says. The hosts credit much of the event’s success to social media, allowing them to reach a wider audience. Approximately 2,600 students said they were attending on a Facebook event for the snowball fight. Siddiqui says the hosts hope to eventually break the world record for the largest snowball fight, which currently sits at 5,834 participants.